What does the magnetic field look like? 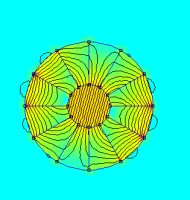 At right, we show the magnetic field around the newly made Halbach array using both a finite element analysis simulation (the color picture). The film shows a light-colored line where the polarity transitions between one direction and another. A single magnet is shown at left, with the north pole facing up throughout. The field strength, indicated by the color scale, is equally strong on the top and bottom of the magnet. In contrast, the Halbach array shown at right has a very strong field on the top, and a fairly weak field on the bottom. 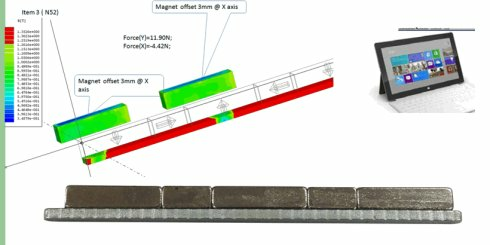 A Halbach array is a special arrangement of permanent magnets that makes the magnetic field on one side of the array stronger, while canceling the field to near zero on the other side. 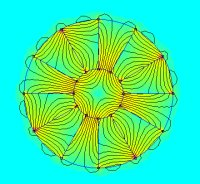 This is very different from the magnetic field around a single magnet. With a single magnet, you have an equal strength magnetic field on either side of the magnet, as shown at right. The single magnet is shown here as 5 cubes like the Halbach array, but with all of the north poles pointing up. Magnetically, this is the same as a single long magnet. 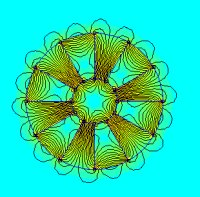 The effect was initially discovered by John C. Mallinson in 1973, and these "one-sided flux" structures were initially described by him as a curiosity. In the 1980s, physicist Klaus Halbach independently invented the Halbach array to focus particle beams, electrons and lasers. Halbach arrays or cylinders are a particular type of permanent magnet assembly which produces a field on one face of the assembly while canceling out the field on the other side. In the case of a cylinder, the field will be concentrated into the center of the cylinder with zero field on the outside. In other words, completely self shielding. A true Halbach can only be achieved with a sinusoidally varying field distribution within the assembly. Close approximations to Halbach arrays can be achieved with arrays of magnet blocks but single isotropic ring magnets which can be multi- pole magnetized with continuously varying fields are ideal for this technology. Through careful design of the magnetizing fixture, close approximations to Halbach arrays can also be achieved without having to use complex multiple segment magnet assemblies which are both difficult to assemble and expensive. Halbach arrays can also be configured in other shapes. A ring magnet with multi-pole magnetization, or a ring made up of smaller arc segments can be used in this way. Different magnet configurations will yield different directions and strengths of the magnetic field within the hole, as shown in this picture from Wikipedia at right. Halbach array was first proposed in 1979 by Professor Klaus Halbach Lawrence Berkeley National Laboratory, is mainly used in the field of high energy physics particle accelerators, free electron laser devices, synchrotron radiation devices. 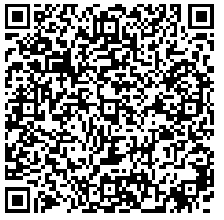 Due to its excellent properties of the magnetic field distribution, has gradually expanded the scope of application to industrial fields such as nuclear magnetic resonance, magnetic, permanent magnet motors and other specialty. Klaus Halbach(Left) to explore the permanent magnet array model.